Nearly four-hundred years ago the Puritan influence planted churches throughout New England. Unfortunately, a long history of downgrade in the region has robbed these churches of gospel strength. Many have denied the faith. Beautiful historic church buildings are being converted to restaurants, retail outlets, and other things. Today, less than 2% of the population in the Boston area are professing evangelical Christians. Christ-centered men, like my friend Erik Maloy, desire to see God at work in New England once again. Will you partner with him? Three years ago, in an interesting twist of providence, The First Church in Charlestown Massachusetts called Erik as pastor. The church boasts a fascinating church history. It begun in 1632 as one of the first churches in the “New World,” the founder of Harvard University, John Harvard,, served as one of its first pastors, and their first church building was destroyed in the Battle of Bunker Hill. Fast forward a few hundred years, and In the early 21st century the church dwindled to only a handful of members and threatened to permanently close its doors. Standing on the authority and sufficiency of scripture, Pastor Maloy has devoted himself to love the community, point them to Christ, and restore a healthy vibrant church for the glory of God. I recently had the privilege of worshiping with the congregation of First Church. I was blessed and encouraged by their enthusiasm and resolve. 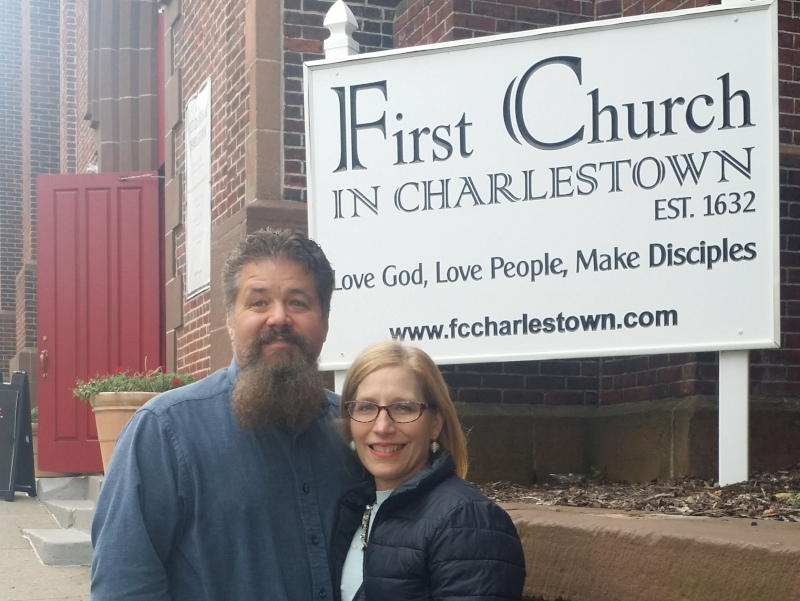 Erik shared with me some of the vision he has, both for the Charlestown church and for the entire region. God is doing some very exciting things in New England. 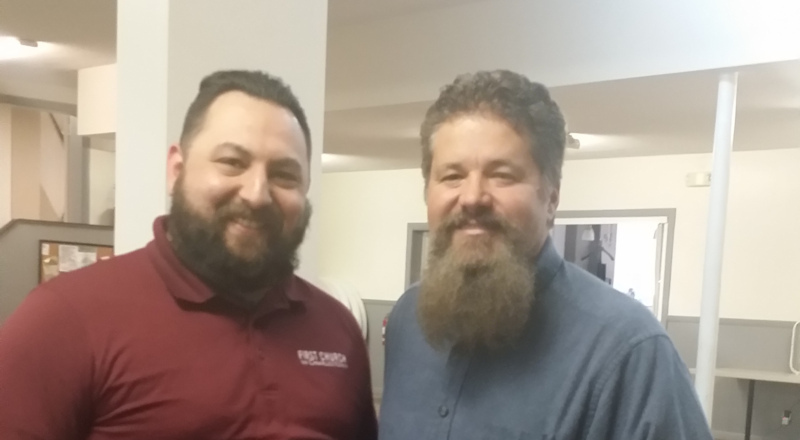 Erik, along with Don McKinnon, pastor of First Baptist Church of Sutton MA, hosts The Practical Church Revitalization Podcast. Even if you do not live in New England or are not part of a particular church revitalization effort, let me encourage you to subscribe to their project, join with them in prayer, and spread the word on what God is doing. We are especially looking for prayer partners and mission teams interested in traveling to the Boston area and working with the First Church of Charlestown. They could use mission trip teams for Vacation Bible Schools, community events, building projects, and other things. Contact Pastor Erik Maloy for more details. I know that a mission trip to Boston will feel a lot different than a mission trip to Lakeshore, but its the same big mission, for the glory of God.